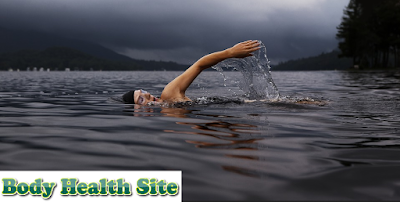 Various Benefits of Swimming for Health. The benefits of swimming are not only obtained by athletes or professional swimmers. All age groups can benefit from this sport, especially if done regularly. Swimming can build the strength of the body. Because, to move in the water, a person needs more power. Furthermore, swimming is a physical exercise that will train all major muscle groups, from the shoulders, back, pelvis, buttocks, to the feet. A study concluded, in a routine exercise for 12 weeks, oxygen consumption rose up to 10 percent of male and female participants in middle age. In addition, the impact of an increase in the amount of blood pumped each time the heart beats to 18 percent, which means increased heart strength. The benefits of swimming can also be seen in the increase in tricep muscle mass (the back side of the upper arm), up to 25 percent in a group of men in a study. The results were obtained after the swimming program for 8 weeks. About 500-650 calories will be burned as you swim for 1 hour, depending on how efficiently the activity is done. Swimming can be a means for the body in getting relaxation. In addition, if this physical mention can make a person feel calmer. As claimed in a study, swimming can clear the mind, encourage positive thinking, and confidence. Swimming is not only to make the body fit and healthy. Doing this exercise regularly can prevent the occurrence of some diseases, such as stroke, type 2 diabetes, and heart disease. 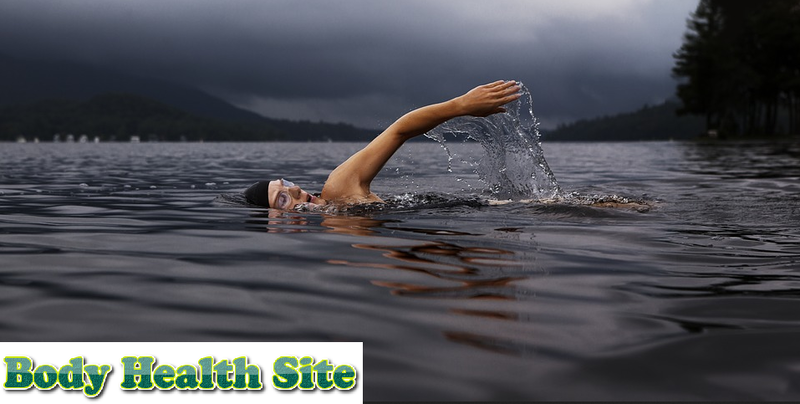 Swimming is also the best exercise choice for people with certain diseases, such as hernia nucleus pulposus, arthritis, even as an exercise for post-stroke recovery. From the results of research, swimming regularly can increase a person's life expectancy. Do swimming regularly 3-5 times a week, each for 30 minutes. Swimming is good for everyone, both men, and women, both children, and adults. Don't hesitate anymore, invite all your family members to swim together. Teach also the Little Swim to make it accustomed to doing this sport and move actively in the pool since early. If you think that swimming may be dangerous because you have an illness, consult your doctor first. When swimming will begin in the pool, check its depth and choose the most appropriate water depth. Choose a safe and comfortable swimming pool. Do not forget to think about the distance of the pool with the house so you are not lazy to swim routine. You can take a swimming exercise class provided at the pool. There is a swimming place that provides a program for beginners. It may be suitable for you who are just starting to learn to swim. Spend time each week to swim regularly. You can choose and determine the most appropriate time for you, such as the morning or evening. Wear comfortable bathing suits and fit your body. If necessary, wear goggles to prevent eye irritation due to pool water containing chlorine. For beginners, swimming exercise should be done slowly. The first lesson to understand is the rhythm of movement and breathing. The recommended time for beginners is to have a swimming session of about 10 minutes. Then start extending the exercise time up to 30 minutes. Do it regularly 3-5 times per week. If you have not felt comfortable entering face to water, then as a beginner, you can first practice by soaking the body up to the neck or walking in the depth of a shallower pool. It is considered much better to get used before swimming actually than to directly swim with inappropriate techniques. What should also be remembered is always to start the practice session swimming with heating and end with cooling. You will feel the benefits of swimming if done regularly. Schedule in particular. If you are already beginning to take a schedule for practice, motivate yourself to keep practicing. When you start to feel bored, try swimming with friends or family, so you get excited again. 0 Response to "Various Benefits of Swimming for Health"